Join as as we talk all things psychology, wellness, self-help, culture and more! We discuss all things psychology, culturally significant and more, here at Dominique Does Life. 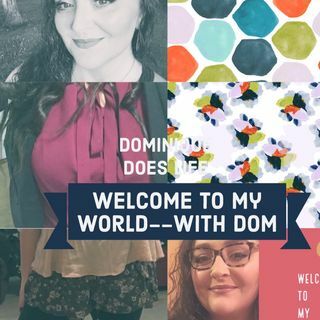 For episodes of this podcast and other posts of note and/or interest, please check out Dominique Does Life on Facebook. If you have an interest in seeing me professionally for coaching, check out my business facebook page, @be_well_trinity and message me there. I take clients from around the world, so if you're ... See More not in the Chicago area, I've still got your back. If you can't afford that just now, no worries. Just keep listening and tuning in to Dominique Does Life on YouTube. You are not alone. We are in this together. Medicare For All: HOT or NOT? The Hidden Symbolism In Jordan Peele's "US"